This is NO laser tag gun toy! This uses the latest technology using Infra Red and RF signals. 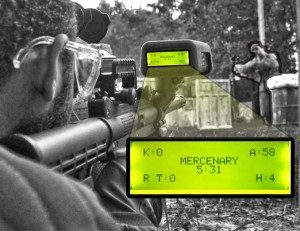 The receiver identifies when you are hit, and who you hit, right on your display! There is no cheating! This intelligent gun has an on board computer, which controls the game! There are infinite game scenarios that can be played. 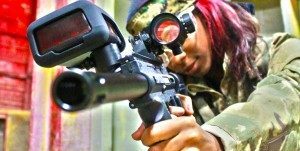 Unlike other laser tag systems, this also works on RF which actually knows who you are hitting and when you get hit, instantaneously! It also keeps score of your kills, and many other statistics. It is light, and easy to use even for ages 5 to 105 years old. 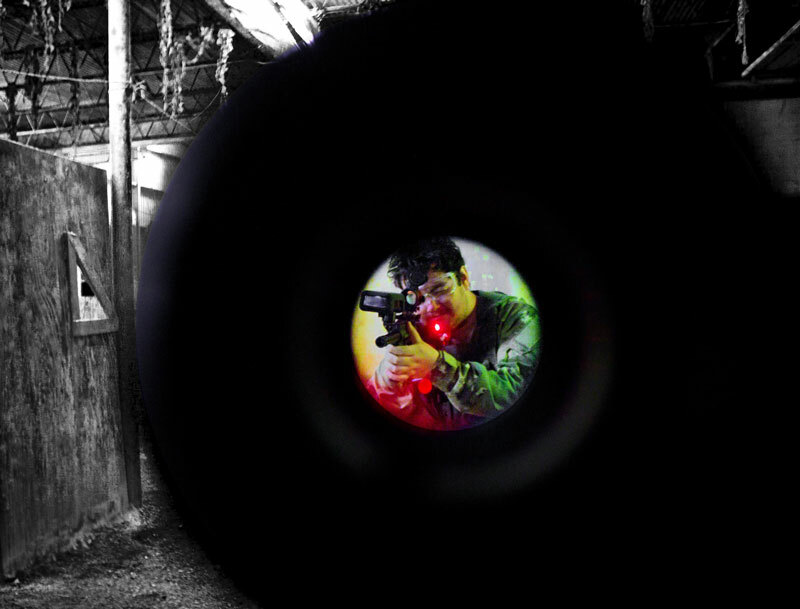 This Laser tag gun actually works on infrared, which travels at the speed of light! Effective range: 1000 feet! It works both indoors/outdoors, day/night! Although this laser tag equipment is designed for military use, it is still light and simple enough to be used by the big boys! Equipped with a Red-Dot scope and sight rail, makes it easy to aim and disable your opponent! A combination of an on-board computer and RF signal to communicate information among other guns, gives this system superior abilities than standard infrared laser tag systems. Advanced technology tells you your health, and who hit you! Audible/visual signals that start/stop game; countdown to start of game; signal when you are hit; signal when you shot your opponent, etc. Advanced technology tells you who you have just shot! Advanced technology, tells you other stats, such as your health, number of kills, real time, time, name of gun, available ammo, etc. 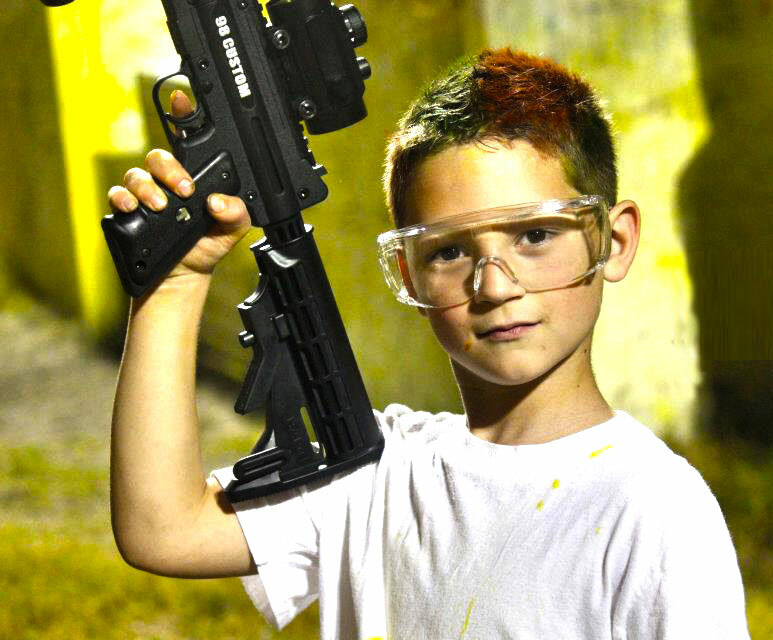 Our Laser Tag center includes a Radio tower that allows all guns to communicate through complex RF signals. 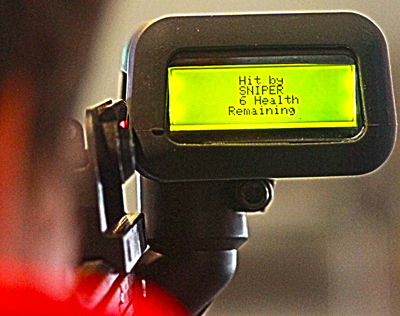 This way information is shared about each of the guns, and everyone’s scores and status are readily available. Our tower communicates throughout our facility! At the end of your session, we can generate a score sheet to see each team’s and individual’s performance… All this technology, only at Battleground Orlando! Advanced Technology: FIRING MODES: Single shot or Semi-auto mode at 10 shots/second! RANGE: over 1000 feet using Infrared and RF signals, day/night! INTEL: On board computer controls game to not allow cheating! You know who you shot and who shot you, instantly! AUDIBLE and VISUAL SIGNALS: To stop/start games; countdown to game start; signal when you are shot; signal when you shot opponent, etc. SPEED: Your shots fire at the speed of light! There is no dodging infrared shots! 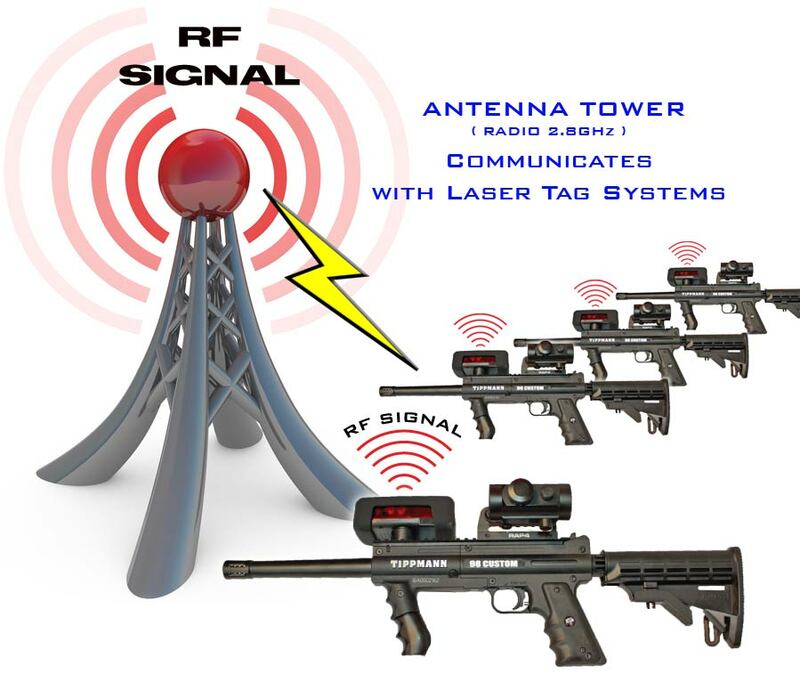 RF Signals: These latest technology guns also use RF signals to communicate stats between each gun and a central control tower. This way reports can be printed on each team’s and individual’s stats.